On the way back from Metro last time out, I’d seen a temple lit up on the banks, bright lights shining over the black waters. Another temple you ask? There are so many! I headed over, determined to see them all. It meant crossing over to the other side of the river again, this time over another bridge. As Casey-Lee and I biked over in the heat of the day, we saw an island that hadn’t been there at night. Or hadn’t been visible at least. Might as well go to both, right? 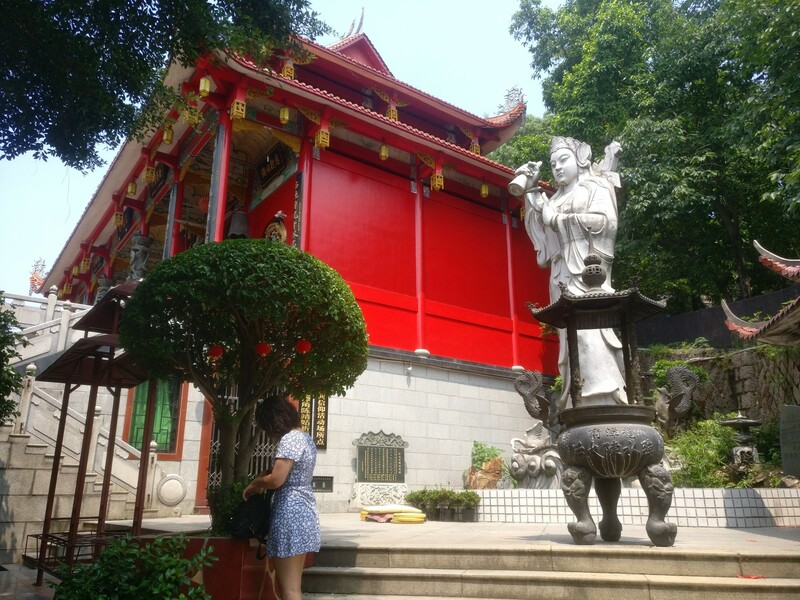 We climbed the hill to the temple first, actually one of the cooler ones I’ve seen in Fuzhou. Firstly, unlike many that are faded, their paint peeling steadily since their 80s renovations, this one looked like it had seen a brush this century. In fact, it was bright red and gleamed in the hot sun. Second, a humongous statue sat outside, looking down on us imposingly. 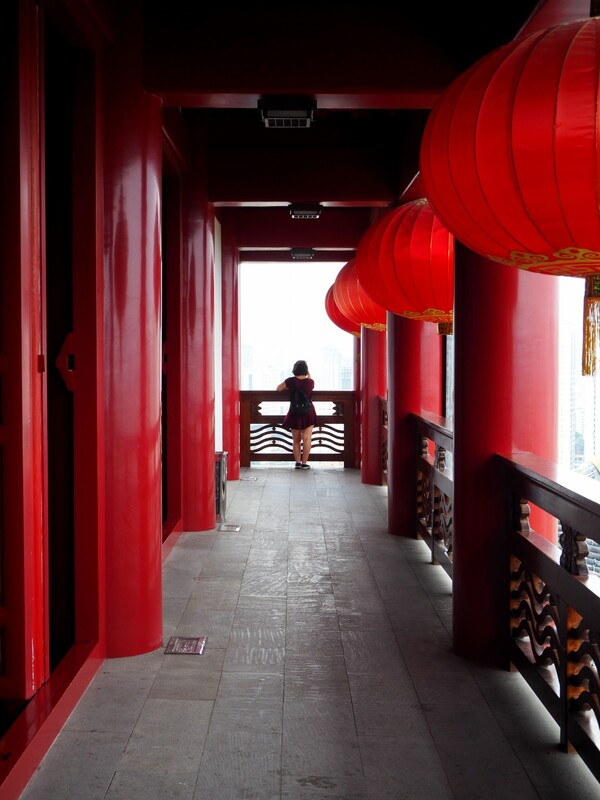 It looked like you’d expect from a temple if you’d not been to China. Not too shabby from the front, either. The island was pretty small, at least it looked it from the river shore, but was connected by a pretty fancy looking bridge. What could possibly be on the other side that needed a big bridge, but didn’t require an entrance fee? Exposed to the worst of the sun, we determinedly strode across to find out. On the other side, it seemed to be some sort of garden island. 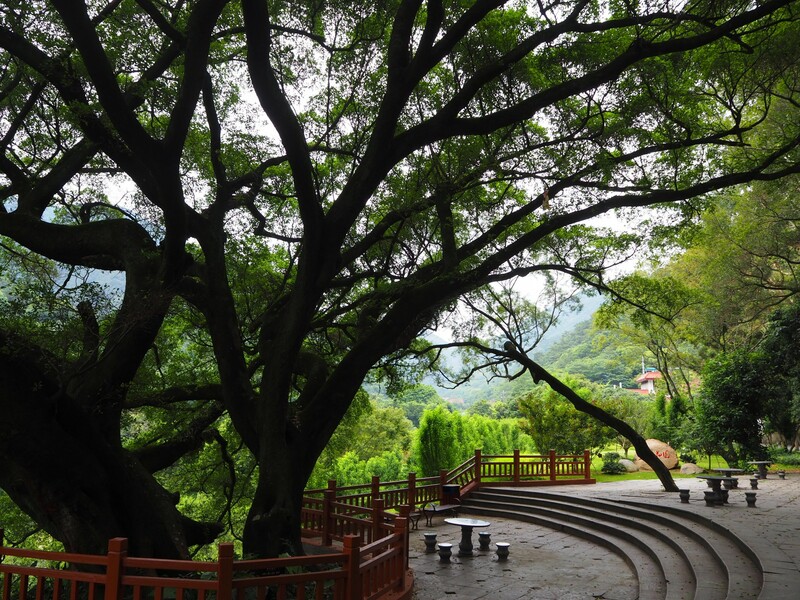 Plants and trees that were oddly well groomed for China. 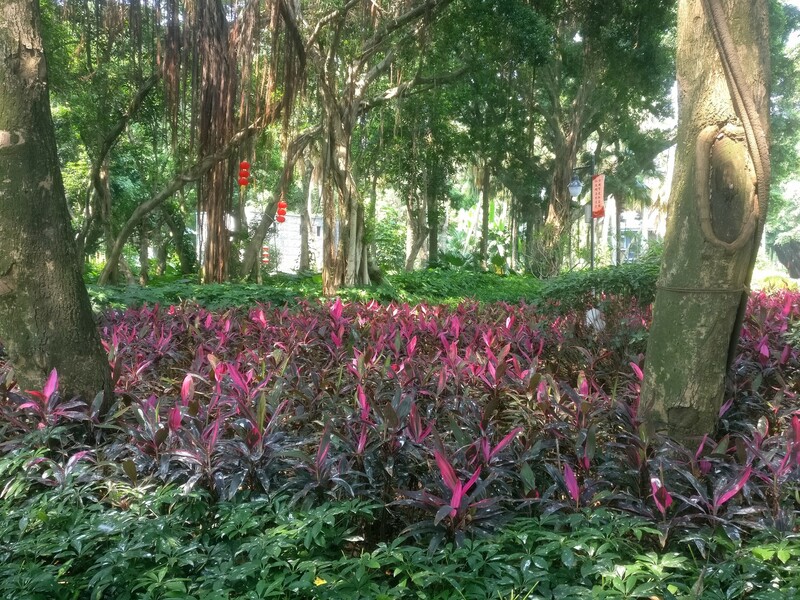 Plants and trees that seemed to follow a specific colour scheme. They were all red. Very very strange. Looking back across at the temple. Uh oh. Turn back. Turn back! Coming round the bend of the ramp that led down from the bridge, I noticed it. First, a big bush crafted into a heart. Then a giant sign, tucked into the leaves, simply stating ‘Love’. As I looked around, everything took on new shape and meaning, the island assuming its terrifying reality. This was an island of love. I ran. Ran for the hills. Very gaudy is pretty much the only way to describe it. At every turn there was a new sign, or a weird statue of a woman riding a dolphin, or a strangely red tree cut into mini hearts. How this island ever got made, I don’t know. And who visits this kind of place, unsuspecting foreigners aside? Someone looks after it quite dedicatedly though, and I suppose – take away the in-your-face love aspect – the island as a garden is kinda nice. Just the small caveat, obviously. Even the leafy plants are turning red! Hiding away from it all under the bridge. 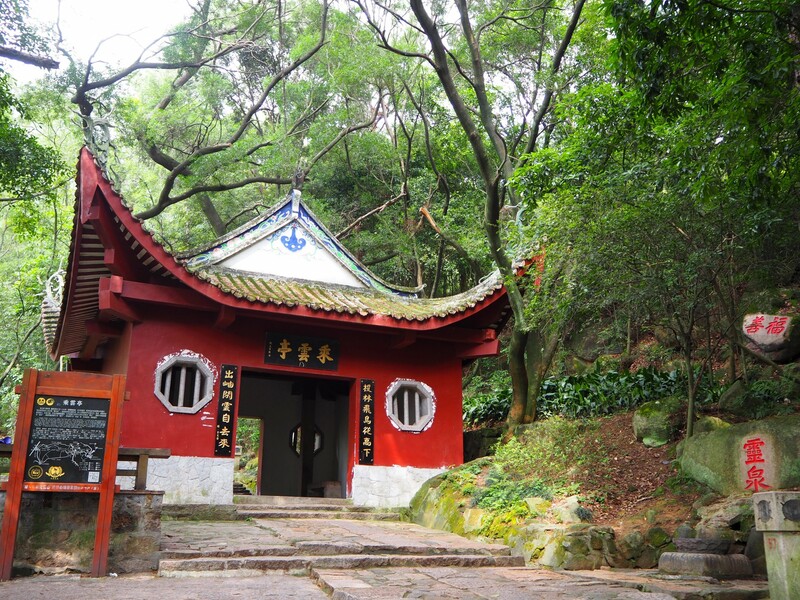 Just to the east side of Fuzhou lies Gushan, one of the many mountains that form the city’s barrier to the wilds of China. This one is special though. This one is climbable. At least for the most part, anyway. That’s the thing in China. Unlike so many other places in the world, you can’t just wander up any mountain or down any path you feel like. Why? Is there a specific law that you can’t? I honestly couldn’t say. What is certain though, is that paths or trails of a generally normal variety are very few and far between. 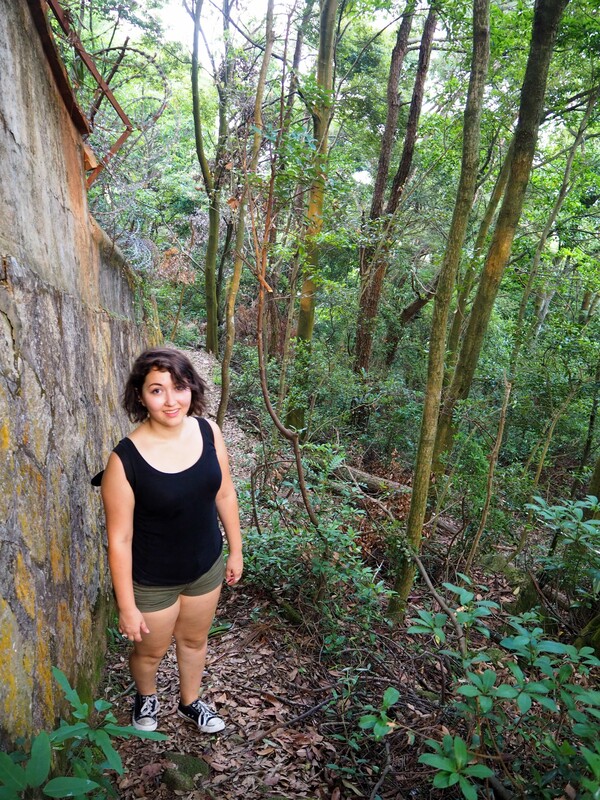 Here, there are paved walkways and multitudes of staircases, and the opportunities to get into the amazing countryside are defined by where the concrete extends to. 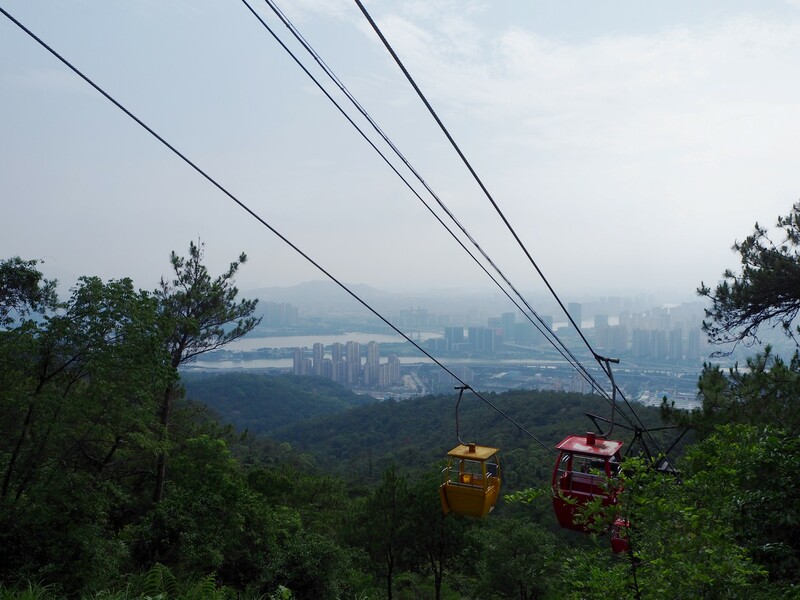 Shall we take the cable car? Nah! Ah, surely an opportunity for a rest? Gushan is definitely an example of this. 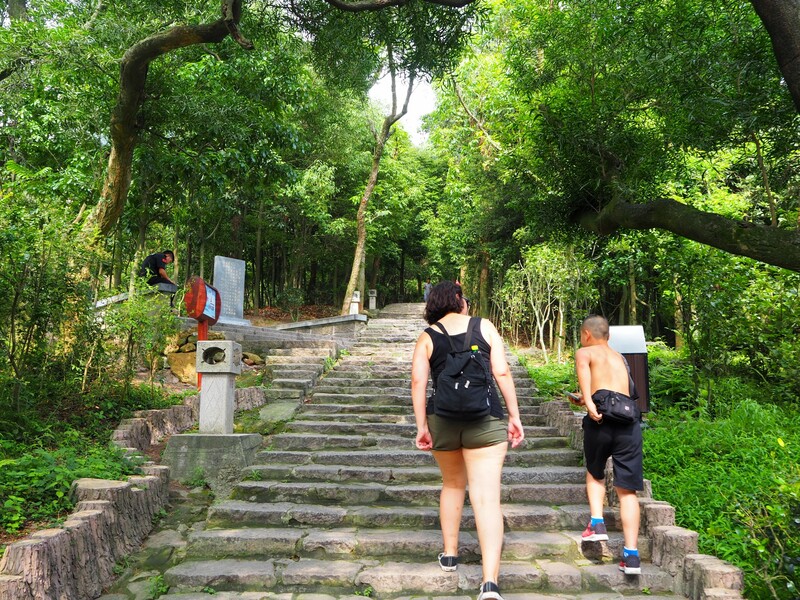 The classic Chinese mountain, where steps line the way to the top. It’s nice nonetheless, and especially so given the surrounding city. 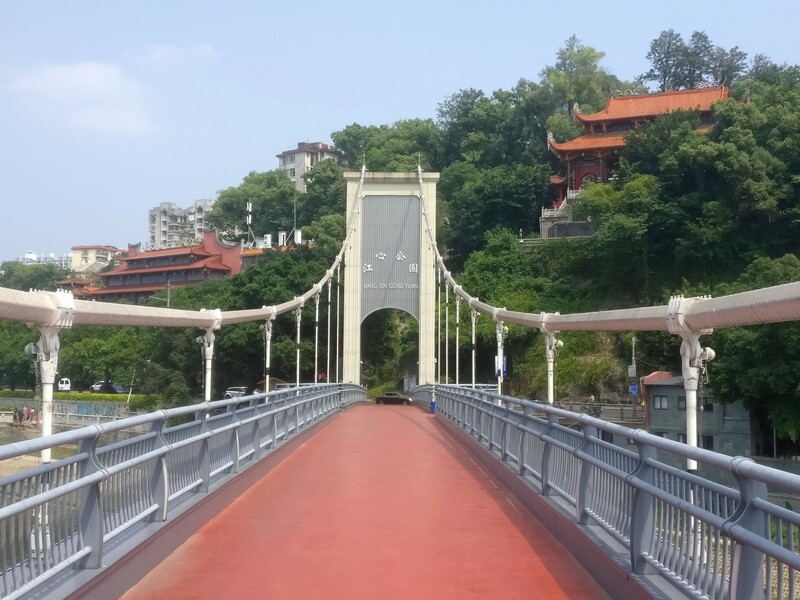 This time, our journey was a simple one – about 45 minutes across the city by ebike, at which point the buildings and streets started to change dramatically. Gone were the skyscrapers and wide streets that make up central Fuzhou – at the edge there are big dirty trucks that barrel past you and skinny little bike lanes that noone can fit in. We arrived with little trouble though, but to a climb. 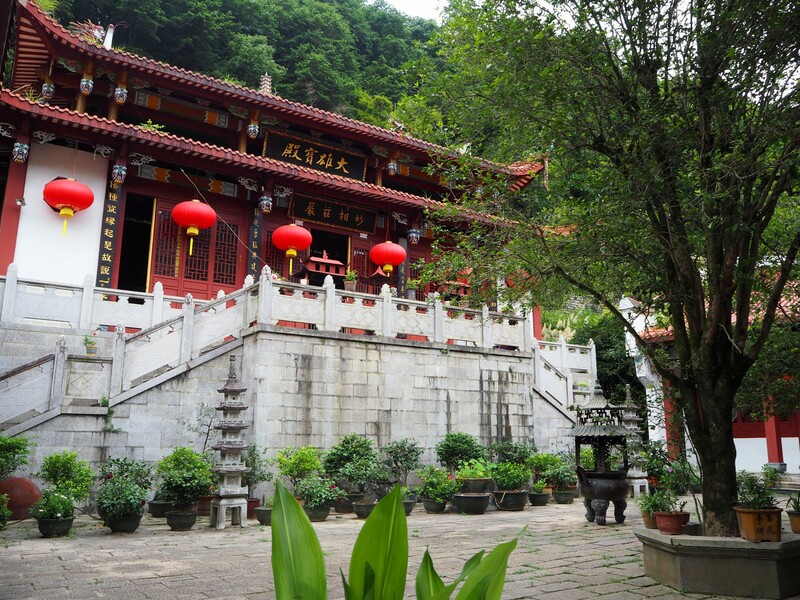 As mentioned, Gushan, as most other mountainous attractions in China, is home to possibly millions of steps (this may only be a small exaggeration). Steps upon steps upon steps. Steps in the heat and wondrous humidity. They went as you’d expect; sweatily. Don’t get me wrong, the climb was really nice, I’m just skipping over that because it’s not where the meat of this story lies. It actually lies with a young boy of a mere ten years of age. A boy named Peter. Note Peter and the many steps. 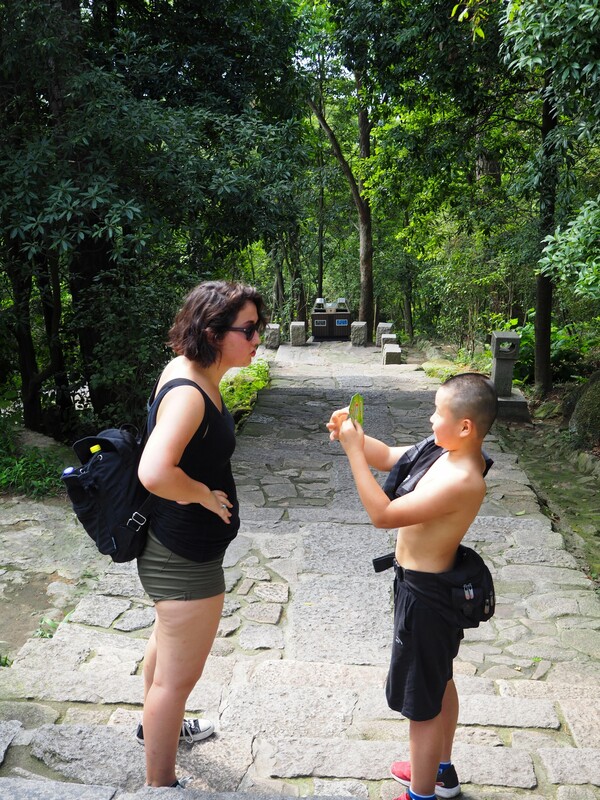 Casey-Lee and I bumped into Peter about halfway up the mountain, and instantly struck a bond. By ‘bumped into’, I mean he very confidently, shirtlessly interrupted our sweaty selves’ conversation while we were taking a quick water break, to interrogate us. And by ‘struck a bond’, I mean he latched onto us. Through hell and high water, he was in for the long haul. He started with magic tricks. First with an elastic band, before proceeding to the serious card stuff. Every time we tried to escape up the path Peter would be after us, to show us another trick, or bamboozle us with random questions. It was hard to say no, too, because he was genuinely very funny. Only some of that was his own jokes though! Peter and a card trick. It’s very important. Peter had the most amazingly perfect English I’ve ever heard any Chinese kid speak, including my students. Not only was he completely fluent and fluid, but he understood nuance and was incredibly expressive. This all for a kid who was out of school on a Monday and claimed to have learnt all his English on the internet. When it came down to asking Peter a question, though, he was too clever for his own good. Quiz him on whether his (also bare chested) dad would miss him, he would just shrug and ignore it. Ask him why everyone on the mountain seemed to know him so well, no answer. Try and get him to go back to his dad, and he would feign ignorance. He understood that we were trying to leave him behind, he just didn’t want to be. Certainly one of the most strangely intuitive ten year olds I’ve ever known. 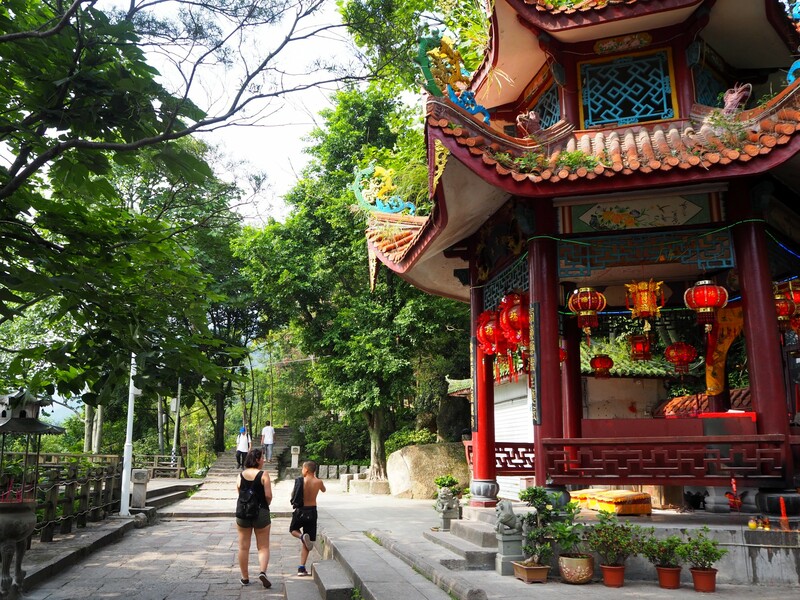 When Peter had gone, we thought we’d see if we could get to a temple on the mountain. There was a slight hitch though. It required a few kuai to get in and only accepted cash. We only had WeChat. Its so rare that somewhere doesn’t accept it that you just don’t think about it. In his attempt to get us to take him though, Peter had informed us of another, secret path. The entrance to this path we found easily. The temple, not so much. Up the steep mountainside we climbed, through jungle trees and spiders webs, over bare, sunbaked rocks and giant roots, but to no avail. At the very top, as far as we could go, we were greeted by nothing more than a wall. Seemingly unending in its width. Too tall and covered in barbed wire to climb. Time to retreat back down. Casey-Lee, surely exasperated at what has been a trek up a hillside for nothing. Only, that wasn’t it. Back where we’d left the path, a coincidental glance to the right revealed a wire fence, with a gaping hole cut through it. We shimmied under. Unfortunately, this was one adventure too far. Dusk had set in, and so had the mosquitos. We made a rather hasty exit, through the front door this time. From there, only what seemed like a few thousand steps, and home. At the bottom of my road, above the junction with the big ring road, is a big temple known a The Watchtower. 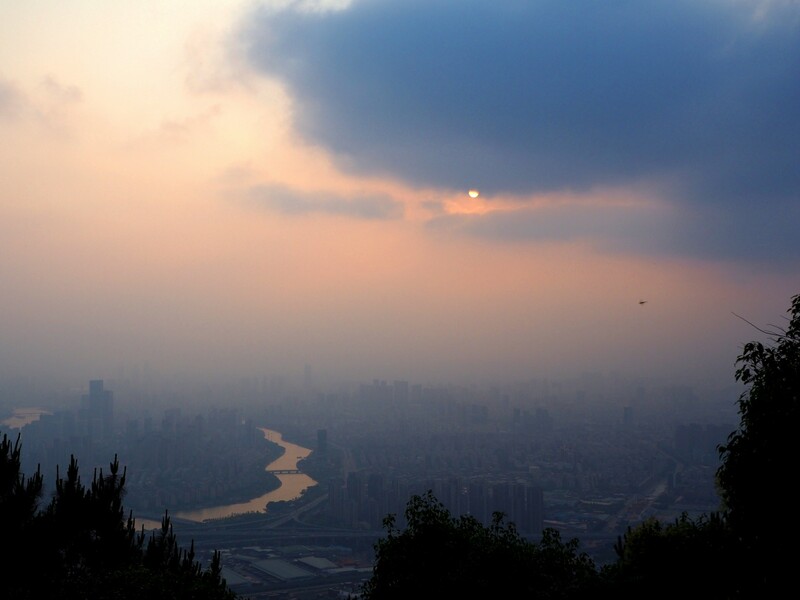 It was one of the first things I saw when I arrived in Fuzhou (on the way from the airport), lit up against the sky. It was also a place I’d never gotten round to going to. At long last, I went. There were a fair few steps to the top, something to be expected for a place called the Watchtower I suppose, but it was worth it at the top. 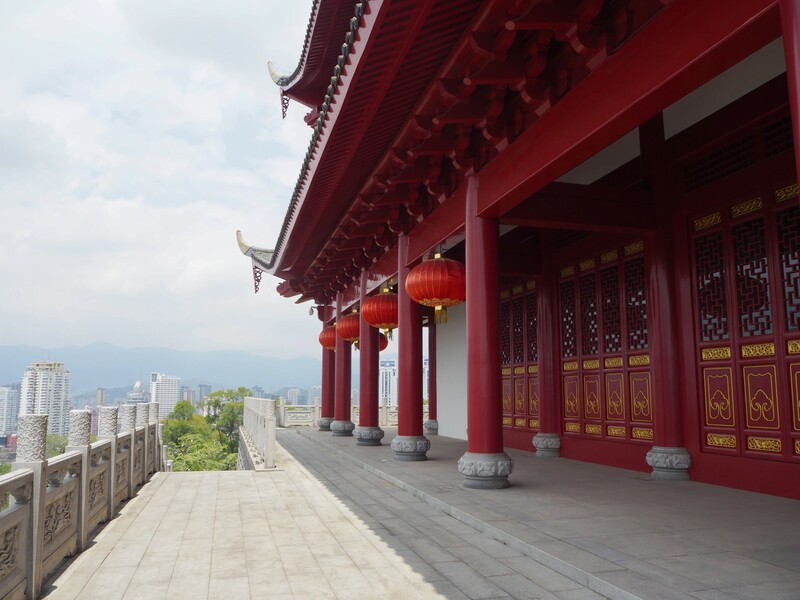 Amazing 360 degree views of Fuzhou, and possibly the most pristine temple I’ve set foot in. 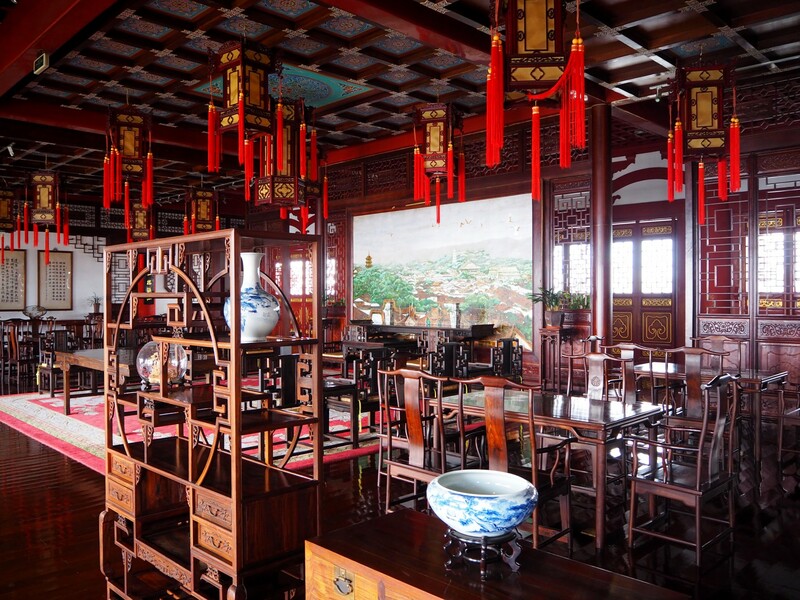 Deep red in colour, with lanterns hanging off the sides, it’s filled with mahogany panelled rooms and priceless artifacts. 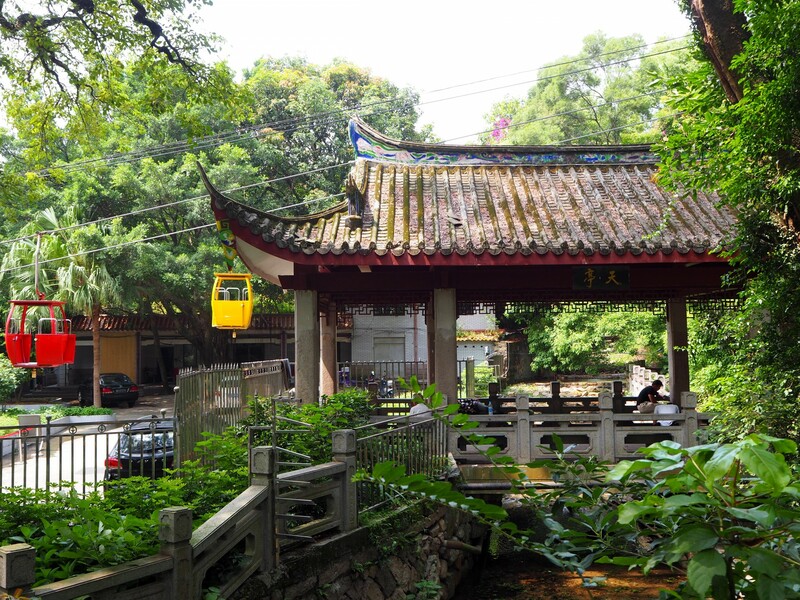 I don’t know how old the temple (or site) truly is, but you can imagine in a smaller, past Fuzhou it would have made an ideal viewing point toward the northern wilds. The Watchtower. Great views from up here. Back on the ground, it was off to Forest Park. 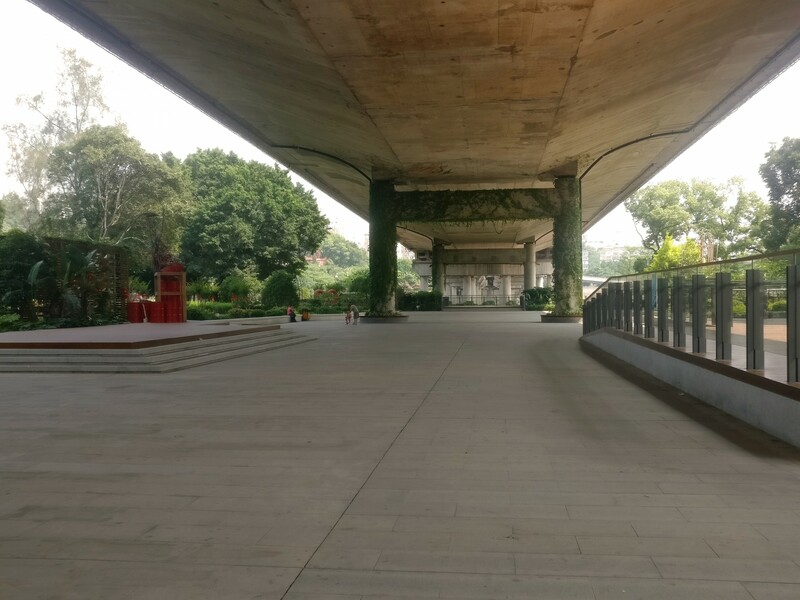 I hadn’t been since my first day in Fuzhou, significantly jetlagged, so I was looking forward to having a stroll around again. Last time, we’d gone on the bus, but this time it seemed easier just to take the bike. It almost backfired. 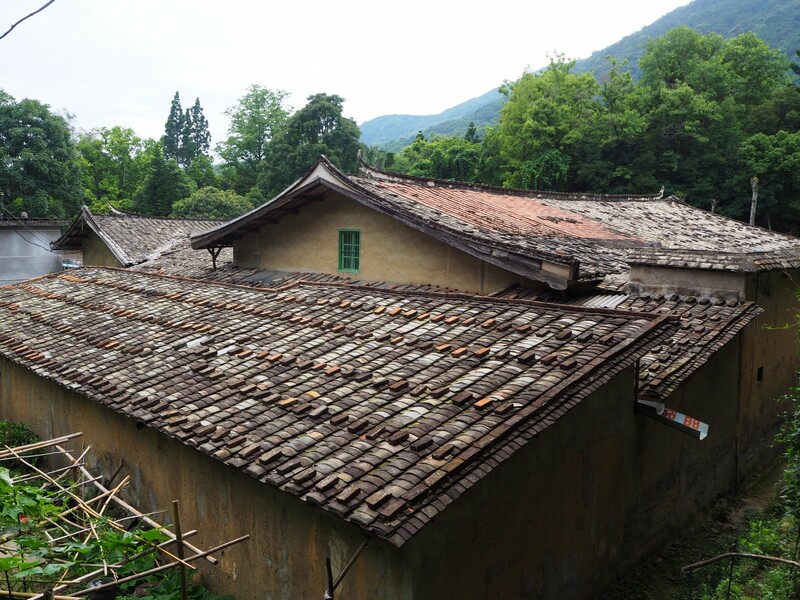 On the steep is slopes of Fuzhou’s mountainside barrier the bike slowed, first a bit, then almost grinding to a halt. Bobbing along had its advantages though – the views back across the city’s outskirts were pretty phenomenal. Some random buildings. Surely no more description needed? In the park it was a relaxed affair. 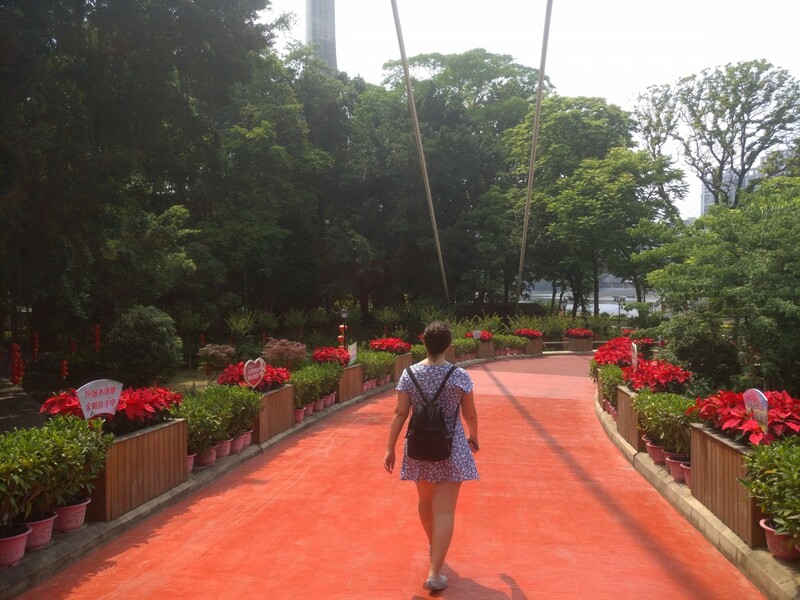 The sun was hot (as tends to be the case in the Fuzhou summer), so walking quickly wasn’t on the agenda. Just taking in the sights was enough. The Millennium Banyan, a theoretically thousand year old tree. Some rustic farm buildings. 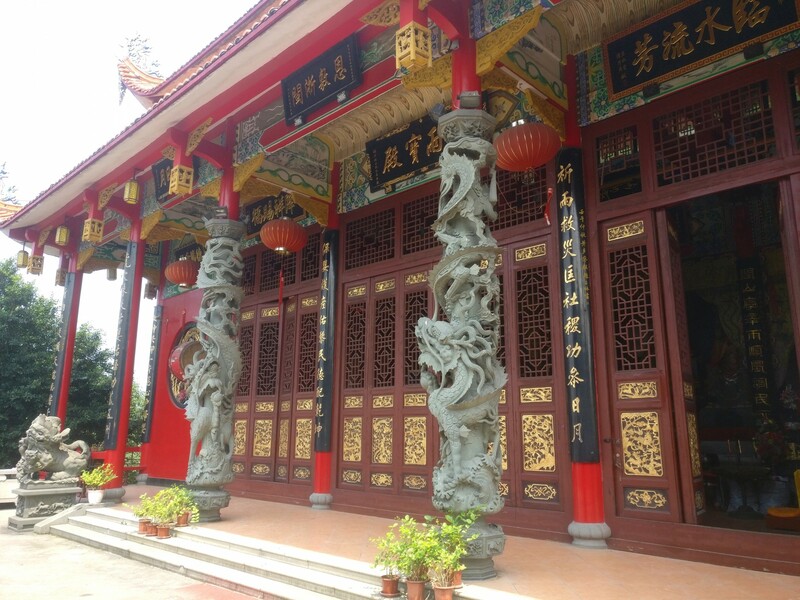 An old temple. The green grassy valleys fields, squashed in between the craggy mountain slopes. What more could you want from a relaxed trip to the park? Not the Millenium Banyan. That’s too big for the picture. Return to the first temple I ever saw in China.